Quirky NY Chick: Kristin Wilson Ryan At The Stonewall Inn Tomorrow! Kristin Wilson Ryan At The Stonewall Inn Tomorrow! 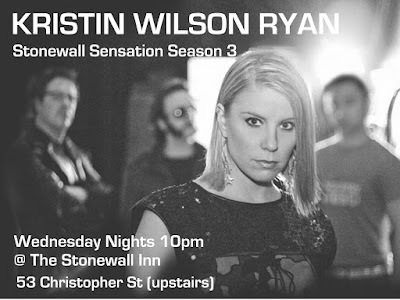 Kristin Wilson Ryan will be singing at The Stonewall Inn tomorrow night, Wednesday, May 6 in Season 3 of the Stonewall Sensation. The Stonewall Sensation shows are taking place every Wednesday this month. You're probably used to seeing Kristin fronting the rockin' Audio Fiction but, it's just her tomorrow. If you get the chance, head over and check her out.